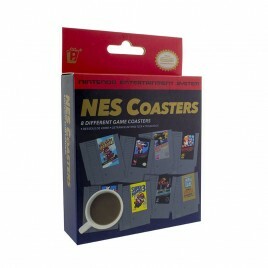 Coasters There are 20 products. 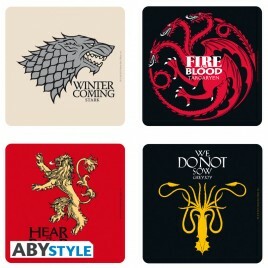 GAME OF THRONES - Set 4 Coasters "Houses"
The Starks, Lannisters, Targaryens and Greyjoys get together for a drink thanks to these Game of Thrones coasters by ABYstyle. 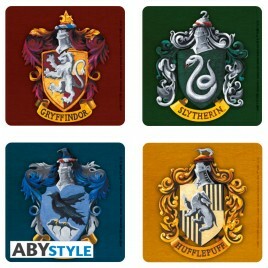 - Sold as sets of 4. - Bottom made of cork. 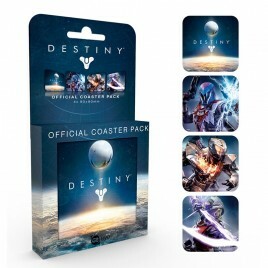 - License-branded packaging. 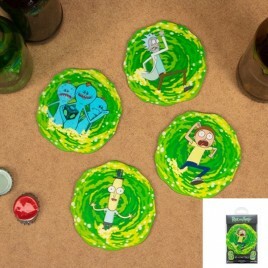 Remember these iconic scenes from the Rick & Morty show with this lovely set of 4 coasters! 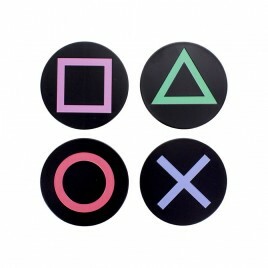 - Sold as sets of 4. - Bottom made of cork. - License-branded packaging. 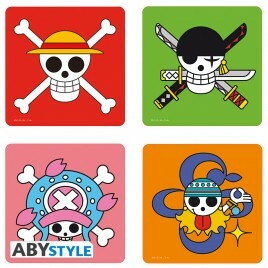 HARRY POTTER - Set 4 Coasters "Houses"
ONE PIECE - Set 4 Coasters "Skulls"
Have a drink with Luffy, Zoro, Nami or Chopper with those beautiful One Piece coasters by ABYstyle. - Sold as sets of 4. - Bottom made of cork. - License-branded packaging. 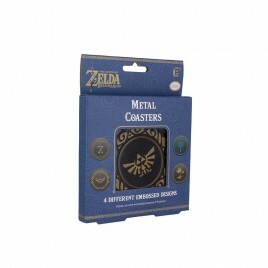 DRAGON BALL - Set 4 Coasters "Symbols"
Which emblematic symbol of Dragon Ball do you like the most? 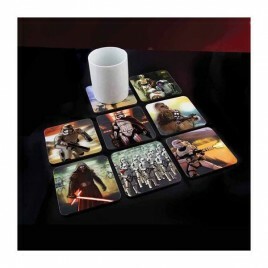 You can choose with those wonderful coasters by ABYstyle. - Sold as sets of 4. - Bottom made of cork. - License-branded packaging. 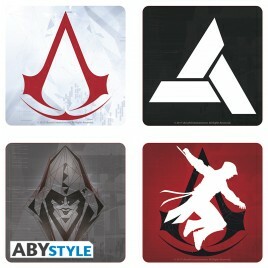 ASSASSIN'S CREED - Set 4 Coasters "Generic"
These Assassin's Creed coasters by ABYstyle will be perfect for your next afterwork with the Brotherhood. 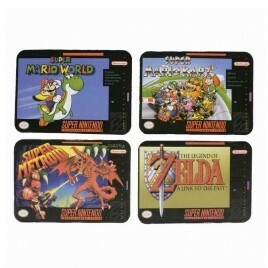 - Sold as sets of 4. - Bottom made of cork. - License-branded packaging. NARUTO SHIPPUDEN - Set 4 Coasters "Emblems"
Choose your favorite Naruto Shippuden emblem and have a drink with your friends with those coasters by ABYstyle. - Sold as sets of 4. - Bottom made of cork. - License-branded packaging. 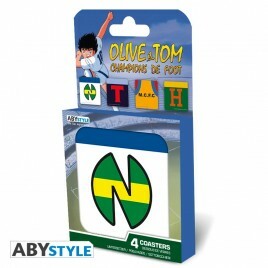 OLIVE ET TOM - Set 4 Coasters "Teams"
Celebrate all your victories with these Captain Tsubasa coasters! - Sold as sets of 4. - Bottom made of cork. - License-branded packaging. 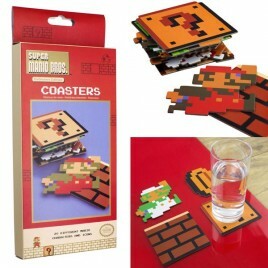 > 8 x 3D lenticular coasters with all your favorite characters! 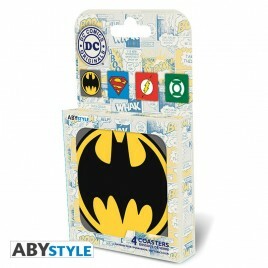 DC COMICS - Set 4 Coasters "Emblem"
Batman, Superman, Flash and Green Lantern get together for a drink with these DC Comics coasters by ABYstyle. 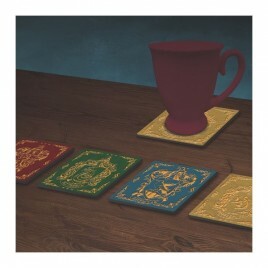 - Sold as sets of 4. - Bottom made of cork. 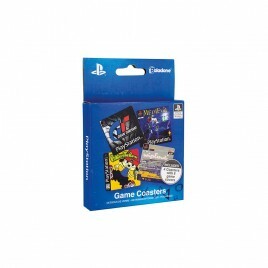 - License-branded packaging. 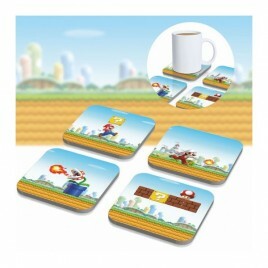 > Set of 20x different Super Mario Bros character and icon card coasters.